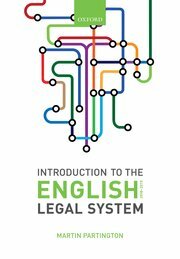 In my book Introduction to the English Legal System, I argue that legal academics play an important role in the development of our understanding of the law and that their role should be given more recognition than it sometimes has had in the past. (See Chapter 9, section 9.10). Recently, however, my interest has been stimulated by stories in the professional legal press concerning a rather different collaboration between the world of legal practice and the academic world. A number of firms, particularly those engaged in personal injury litigation, have been working with academic statisticians and ‘decision scientists’ to try to understand what are the variables that are in play when litigation is under consideration and thus trying to understand better the risks of taking particular cases on and to predict better the potential outcome of issues that are being litigated. This may help practitioners to decide whether a case should settle, or be fought through to trial. The firms concerned think this may be beneficial both for small value large volume groups of claims, as well as high value claims. One finding that has emerged from this work is that the models that are being used suggest that the upper level of the Judicial College Guidelines on damages for different types of injury is almost irrelevant in most cases. Digitisation will, if we are sensible, provide us with the opportunity to gather data on the operation of our justice systems in ways that we have often been unable to before. It provides us with the opportunity to make our justice systems more adaptive; but again, only after proper scrutiny and discussion. It seems to me that these initiatives will grow in number in the near future. What will be needed is proper evaluation of these tools to see whether they do in fact assist in both legal and judicial practice, and how they might be developed. For press reports on these initiatives see https://www.legalfutures.co.uk/latest-news/hodge-jones-allen-embraces-predictive-modelling-pi-work; and https://www.legalfutures.co.uk/latest-news/leading-law-firm-joins-forces-lse-professors-find-ways-predict-litigation. This development, announced on 15 February 2018, concerns the piloting of video hearings in the Tax Tribunal. This initiative will be rolled out in a measured way, with potential participants being asked whether they would like their cases to be dealt with on-line. It seems that the Tax Tribunal has been chosen for this experiment as it is presumed that many tax cases turn on rather complex points of law, rather than major disputes on questions of fact which might require the presence of parties in the same room. This new announcement builds on another pilot, which ran in the autumn of 2017 in which a number of case management hearings in the Immigration and Asylum Chamber were dealt with through video hearings. The results of these seem to have been very positive and demonstrate that such issues can be dealt with more efficiently on-line without compromising standards of justice. HMCTS do seem to be taking a measured approach to these developments, wanting to bring all those involved – judges, practitioners and litigants – with them, to ensure that these developments do meet user needs. Further announcements will emerge in the months ahead. To read more about the video Tax Hearing pilot, see https://www.gov.uk/government/news/video-hearing-pilot-launched. Hot on the heels of the announcement of on-line divorce applications (see this blog Feb 2 2018), information has just been published as a blog from HMCTS on developments relating to the digitalisation of procedures relating to public law childrens’ cases. ensure those who need it get the support they need to access our digital services. Over coming months, the Public Law Project team will be working with practitioners and others involved in these types of case in developing practices and procedures to deliver these goals. This is an important development within the scope of the Transformation of the Justice System policy. Although the Law Commission’s 13th Programme of Work was announced only in December 2017, the Commission has already had those plans amended by the Government asking whether changes to the law are needed to ensure that internet trolling can be controlled. More specifically the government has asked the Law Commission to review the laws around offensive communications and assess whether they provide the right protection to victims online. It is intended that thw work should be undertaken swiftly. A consultation paper is expected within 6 months. The initial pilot allowed people seeking a divorce to use an online system which offered prompts and guidance to assist them in completing their application. But they still had to print off the form and send it to the court. HM Courts & Tribunals Service (HMCTS) has now extended the service so that the application is now fully digital – submitting the form, sending the relevant documents, and payment. In the first week HMCTS received 130 online applications. According to HMCTS the online system has drastically cut the number of applications being returned because of errors – showing a 90% improvement from paper forms. This is particularly important given the increasing numbers seeking a divorce without using a lawyer to help them. Users of the new service seem to like it. It has already gained positive feedback with people welcoming the simplified, streamlined and easy to understand system which delivers their application instantly – without the worry of it being lost in the post. The next stages will include making the system available for use by legal representatives. A date has not yet been publicly announced for this further development. Experience in other contexts suggests that once up and running, use of on-line application procedures will increase very rapidly. Indeed, people will wonder why this development had not occurred years ago. This sort of development is at the heart of the Transformation of our Justice System reform programme.